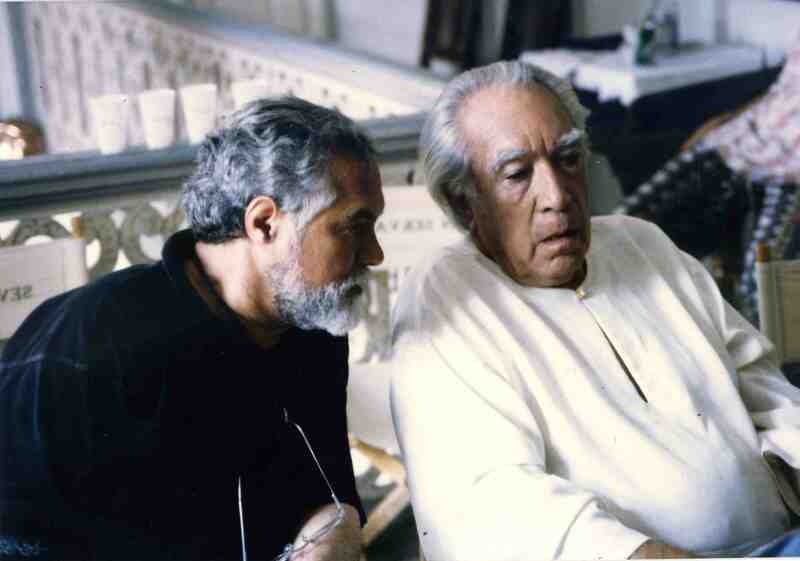 I had the privilege and honor of meeting Anthony Quinn, a legend and multidimensional artist, in the early ‘90s. I ended up working with him, learning from him and producing one film with him in the middle of that same decade. During the production of Seven Servants, this classic actor and I found much to bond over and the two of us became very close. I became a trustee of sorts for him and he offered me the opportunity to produce his next film. The regular meetings and meals I subsequently had with him, sometimes with his beloved family, resulted in a friendship I will always cherish. Unfortunately, his wish to play Leo Tolstoy on the silver screen, and my sincere desire to make that happen, died when he himself died suddenly. 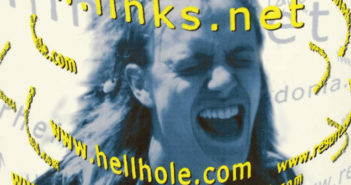 At about 7 A.M. on June 4, 2001, my telephone rang. Somehow, I knew there was news waiting for me on the line, and most likely, it would not be pleasant. I had previous bad experiences with calls that came in very early in the morning or very late at night. Reluctantly, I picked it up and said hello, and immediately recognized the voice of Kathy, Anthony Quinn’s wife. “Bahman, Anthony died last night. I wanted you to be one of the first to know.” For a moment, I became mute, utterly unable to talk. Then, after a long pause, I told her I would come over there immediately. I sat down on a chair, the world seeming to crumble down upon my head. I took long, deep breaths, trying to prevent myself from having a complete breakdown. I had known that he had been in Boston Hospital for a few days, but this was utterly unexpected. Hundreds of pictures began to flash through my mind, moments from his films, encounters that I had had with him in various locations, both professional and personal, images that had already begun to form in anticipation of things to come, things we were going to accomplish together. The tears started to roll down my face. I had lost a brother, a father, a close friend, and cinema had lost a legend. It was a painful moment that lasted throughout that day and beyond. And, as if the personal pain were not enough, there were professional considerations that had to be attended to. We were on the verge of being ready to go to Budapest to shoot The Last Station, my second production with him, in which he would be playing Leo Tolstoy (1828-1910). Five years of hard work went up in smoke within the period of a brief phone call. My first encounter with him happened purely by chance. There was a very good Italian restaurant in Manhattan on Second Avenue that I began to frequent in the mid-‘80s and that became my favorite place for meetings, both personal and professional. 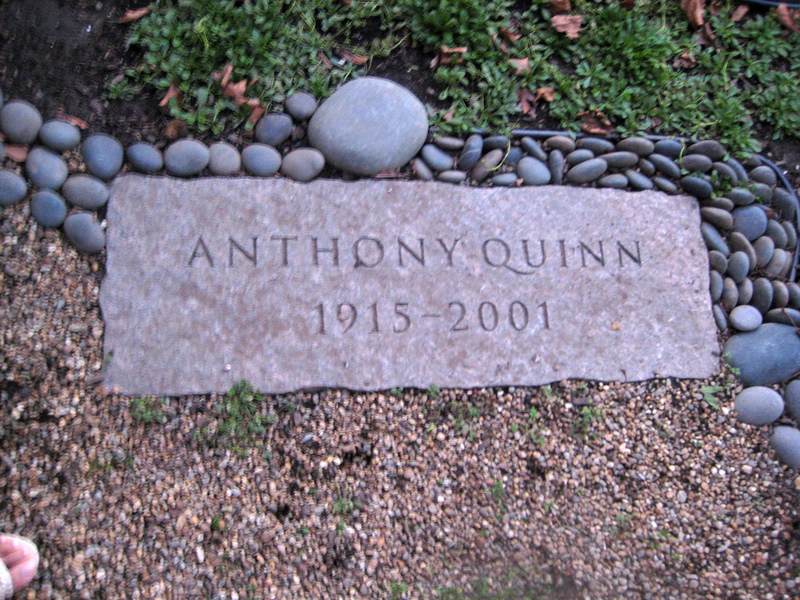 One evening, I was having dinner with a writer friend when she pointed out that Mr. Quinn was there having dinner too. After the meal, when I saw that there was a lull in Mr. Quinn’s conversation with his dinner companion, I approached his table and politely introduced myself. I asked him if he would be willing to schedule a meeting with me about a project I was developing at the time called The Blue Saxophone. He graciously gave me his office number and told me to call his secretary. Later, I called and invited him for a dinner. This would be the first of many wonderful occasions I would spend with him, during which we established a genuine, very organic connection. 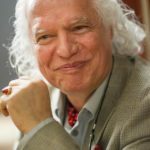 Later, he would tell me, “Bahman, from the first meeting, I trusted you,” one of the highest compliments I have ever received. When I read Seven Servants by my friends Daryush Shokof and Juliane Schultz, Anthony immediately came to my mind. He was the first actor I thought of who could carry the provocative premise of the film through the sheer weight of his personality, and I immediately sent it for him to read. He called me after two days and told me go ahead and make it happen. 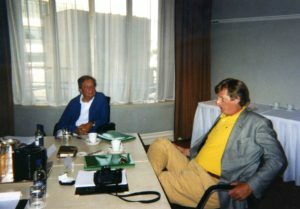 During the production in Nuremberg, Germany, in the summer of 1995, our friendship continued to develop, and I did my best to make him and Kathy and his son comfortable. Production went smoothly (every production has rough spots, but we managed to find ways to work through them), and I validated his trust in me thanks to a few recommendations and pieces of advice I gave him during the two-month shoot. A full account of the Seven Servants shoot will be given later. I had the privilege of having dinner with Anthony (often with Kathy) every night during the shoot. We continued to meet for meals after we got back to New York, a habit that we maintained right up until his death. One day during dinner, he told me: “Bahman, at my age, there are still two roles I would like to play: Pablo Picasso and Leo Tolstoy.” He continued: “I have even developed a first draft for each role, but they are not good. I want you to produce these two films.” I said it would be my honor and asked him to give me the scripts and related files. 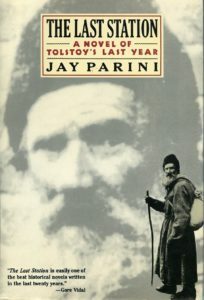 The next day he gave me the book called The Last Station by Jay Parini about the last year in Leo Tolstoy’s life, culminating with his death at the station of the title. Quinn told me that he had obtained the film rights to the book, and that, in fact, Parini himself, a poet, critic and biographer who has written several books, had already crafted a first draft, one that, unfortunately, was not good enough to produce by his account. I read the book fast and found it to be fascinating and very well written. I could see a few reasons right off the bat why I should jump up and grab the project for production. 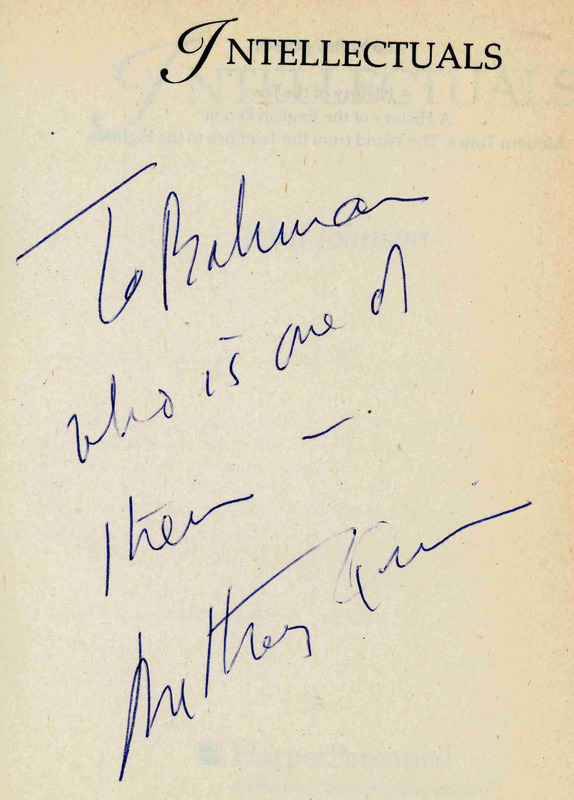 First, there was my tremendous respect and love for Mr. Quinn and my desire to fulfill his undeniable passion to become Tolstoy, one of the giants of world literature. Second, the book drew me back into the life of Tolstoy, but more deeply this time, particularly in reminding me of his correspondence with the young Mohandas Gandhi when he was in South Africa. Gandhi, at the beginning of his fight for the freedom of the Indians in South Africa, exchanged two letters with Tolstoy, in which Tolstoy recommended nonviolent action. Third, from a commercial perspective, it didn’t hurt that The Last Station had already been translated into twenty-five languages, an aspect that could help to draw in audiences worldwide. And last, the most important factor was the similarity of their characters. Leo Tolstoy, one of the most eminent figures in the world, was a character of tremendous contrast. He was a warrior and a pacifist, a man of faith and an atheist, an aristocrat and socialist, a moralist and a gambler, a womanizer who felt a tremendous sense of loyalty to his wife, and the list goes on. (They even had 13 children each.) I could not think of anybody who embodied the complexity of Tolstoy as much as Anthony Quinn. 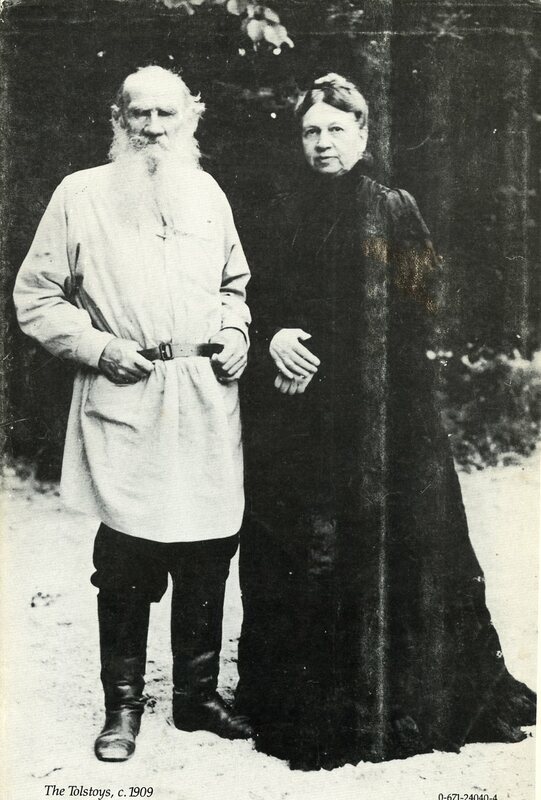 The book was, and the film would be, driven largely by the conflict that arose during the last year of Tolstoy’s life between his wife, Sofya Andreyevna, and his most fervent advocate, Vladimir Chertkov. 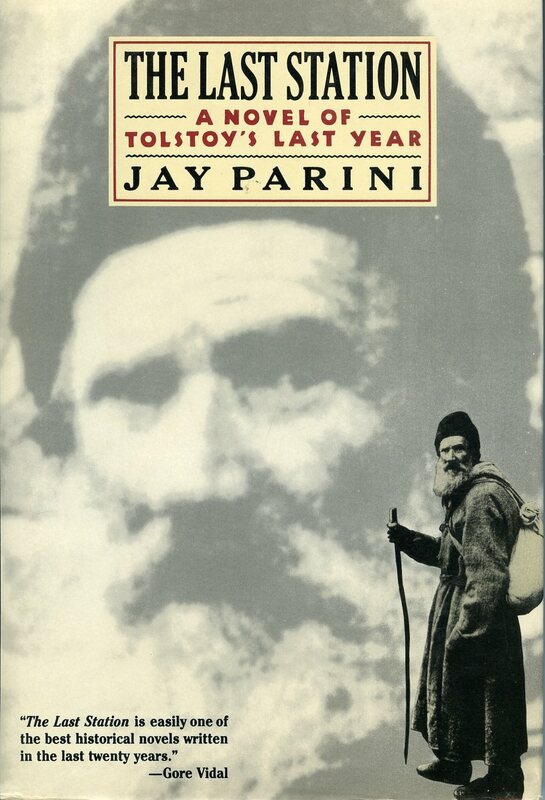 In 1910, having attained a level of fame just below sainthood (and potentially approaching the one condition sainthood requires), Tolstoy fled his home, in part in an attempt to escape the contradiction between his considerable wealth and his vow of poverty. His deteriorating physical condition caused him to stop at the station at Astapovo. Fearing his final hour was nigh, he remained there while a media circus formed outside, Sofya and their children languishing in a nearby train, prevented from seeing him by the fiercely combative Chertkov. Using multiple perspectives, the story creates a deft mixture of fact and speculation, shining a light on the intricacies of the master’s work and life, including fully-fleshed portraits of those people who informed the last days of his existence. I was already very well familiar with Tolstoy’s life, work and philosophy, having read most of his books and seen many of their film adaptations. I had even written a biography of him back when I was still in Iran for my three-volume book 333 Eminent Figures (written with Alireza Tabrizi and published by Simorgh, Amirkabir, Tehran, 1965). Back in New York, we had weekly meetings, talking constantly about Tolstoy and how the project should be handled. I decided that finding the right director was job one, after which we could determine the proper writer to adapt the book. I felt that hiring a European director would be best, likely Eastern European, or even outright Russian for that matter. I immediately contacted a few top-rated directors who seemed appropriate to handle the project. One of the first that I thought of was Nikita Mikhalkov, whose Burnt by the Sun had received the Grand Prix at Cannes in 1994 and had also been nominated for an Oscar for Best Foreign Film. I also spoke with his brother, Andrei Konchalovsky, a celebrated filmmaker himself, whose Runaway Train had been nominated for three Oscars, as well as the Palme d’Or at Cannes, in 1985. Mikhalkov was a notoriously controlling figure, who would no doubt insist on having everything his way, which could have been problematic. I got a sense of just how problematic when Konchalovsky, in a sentiment that his brother would no doubt have shared, told me that, “With all respect to Mr. Quinn, I am not going to direct any story with a Russian hero being played by an American actor.” Ultimately, I selected Karoly Makk (1925-2017), the great Hungarian director whose film Love had won the Jury Prize at Cannes in 1971 and whose Cat’s Play was nominated for an Oscar for Best Foreign Film in 1974. 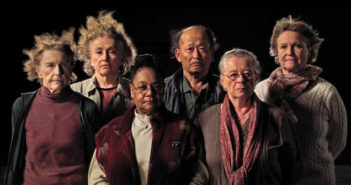 Makk had also been nominated for the Palme d’Or at Cannes a total of six times. Makk was a perfect choice, because he was a director known for crafting stories about characters “in distress,” a description that perfectly matched Tolstoy in his last few years, and particularly in the last year of his life that our film would be depicting. At that time, I found out that Makk had just finished filming an adaptation of The Gambler by Dostoyevsky, Tolstoy’s contemporary, and was editing it in London. I arranged a private screening of Makk’s film for Mr. Quinn in London, in hopes that he would confirm my selection afterwards. My hard work finally bore fruit when Mr. Quinn declared that he liked it and approved the director for the project. I flew to Budapest to meet Mr. Makk, and after a few meetings, I got him on board. Now, I had to find a writer to adapt the script. 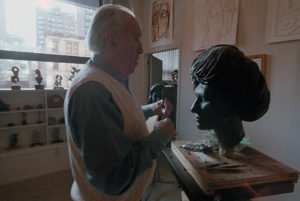 I contacted various great writers, including Jean-Claude Carrière, the distinguished French novelist and scriptwriter who had participated in some of Luis Buñuel’s most famous films, as well as working with many other major cinematic figures, including Louis Malle, Jean-Luc Godard and Milos Forman. 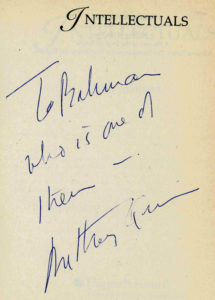 Carrière was already committed to another project at the time, but suggested that I contact John Briley, who had received an Oscar for writing Gandhi. Briley was interested, and had the extra added bonus of having worked with Makk before, but he too was already committed to another project. He indicated that he could do it if we were willing to wait a year, but Quinn was far too anxious to get to work to agree to that. My next choice was Mr. David Pownall, an English writer, who agreed to adapt the book for the screen. I arranged three trips for him to meet and discuss the script. 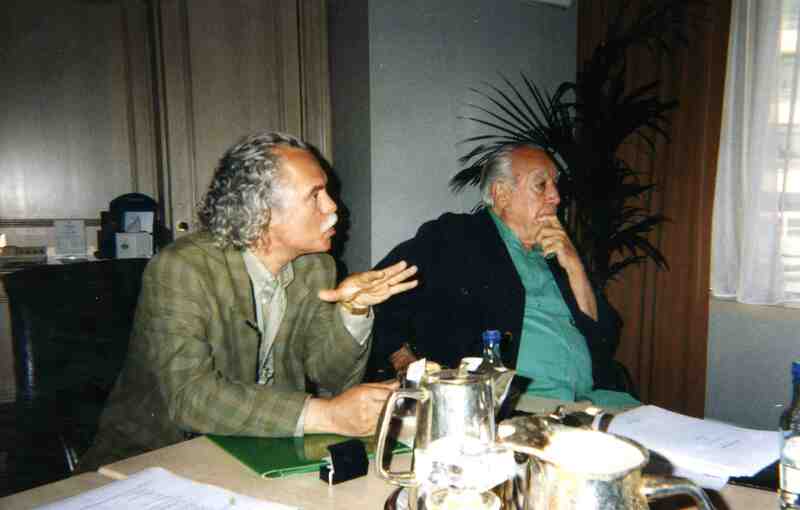 The first meeting took place over two days in November 1996 at the Hilton Hotel in Barcelona. This meeting included Mr. Quinn, Mr. Makk, Mr. Pownall and myself. The second took place over three days in Budapest, and the third took place in London. Both of these latter two encounters were between Mr. Pownall and Mr. Makk. After the meetings, Mr. Pownall proceeded to write the script. He had made his way through about half of it when, unfortunately, it was determined that the financial commitment for his salary would not be possible at that time. Additionally, Mr. Quinn read what he had produced so far and was not happy with the results. 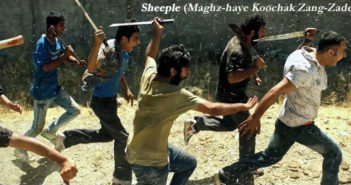 This confluence of circumstance thus ended his involvement with the project. Finally, after considering a few others, I made an arrangement with Nick Dear, a British playwriter and screenwriter. Dear, an Academy Award nominee and BAFTA winner for Persuasion (1995), had just recently collaborated with Mr. Makk on The Gambler, making him a natural choice. While all of these particulars were being hashed out, I managed to track down a number of short films of Tolstoy from around the world, containing footage of his home Yasnaya Polyana, him riding a horse, walking, working, even footage from the station just before his death. I gave all of this material to Quinn to study for his performance. He was stunned at the value of the footage. The research team he employed had been unable to find such material. As to the script, while Mr. Dear’s contribution was helpful, my executive producer would not meet his salary. Ultimately, I arranged another meeting with Mr. Quinn, Karoly Makk and Gilles Baschet our new executive producer and myself in London. Mr. Makk decided to write an original script based on The Last Train with his two collaborators Attila Lorincz and Zoltan Kamondi. Meanwhile, the news broke in Variety about the production. This had officially become a serious production. I would be making a film about Leo Tolstoy, and best of all, I would be making it with a screen legend. He was born in Chihuahua, Mexico, in 1915 to a poor family. His maternal grandmother was Cherokee and his father was of of Irish descent. They came to Los Angeles when he was a young boy. He did a lot of odd jobs, including boxing professionally at 16, but an interest in acting diverted him towards joining a small theatre group. His first wordless film was called Parole (1936), a gangster film produced for Universal by a veteran B director, Louis Landers, who had seen Quinn acting in a play called Clean Beds, produced by Mae West. Quinn landed the role of John Barrymore (a classic movie star whom he would later befriend), a part he played so marvelously that he attracted a great deal of attention, Landers’ included. Quinn showed up at the shoot without a suit, because he did not own one. The assistant director rushed him to wardrobe, but couldn’t find anything that fit him in time to do the scene. Time was running out, so the director, wanting to be fair, offered him another part that did not involve any dialogue. “Gary Cooper built the fire,” DeMille replied. DeMille was a king of Hollywood; nobody could tell him he was wrong. No one, not even a big star, could talk to him like this. Quinn was paid for three days for a day’s shooting and was offered a 250 dollar weekly contract to work for Paramount. This was the story of how the ambition, drive and bravery of a young, talented immigrant to the United States of America began his career in a Hollywood, during which he would end up depicting characters from a host of countries, playing Mexican (The Ox-Bow Incident, among many others) , Italian (The Secret of Santa Vittoria), Greek (The Guns of Navarone), Arab, French (Lost Command), Filipino (Back to Bataan), Spanish (Blood & Sand), Colombian (High Risk), Chinese (China Sky), Russian (The Shoes of the Fisherman), etc. Although he had magnificence presence on the set and on screen, his rugged face and looks often led to Hollywood type-casting him in, for example, Native American roles. He was also often cast as the villain, with more conventionally handsome actors as the hero opposite him. 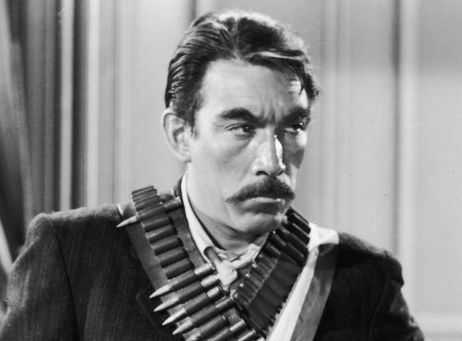 Anthony Quinn worked constantly, making almost 150 films over six decades. His films were celebrated by audiences around the world. But there was a period during which his tremendous talent shone most brightly. 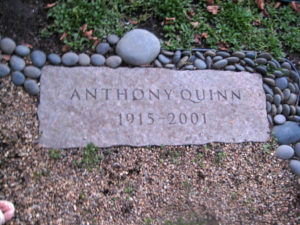 Over twelve years, from 1952 to 1964, Quinn was nominated for four Academy Awards, winning two. It began in 1952, when he played the hard-drinking and dissolute brother of the title character in Elia Kazan’s Viva Zapata!This was the story of the Mexican revolutionary Emiliano Zapata, played by another giant, Marlon Brando. Quinn won his first Academy Award for Best Supporting Actor, a milestone in his career, and an all too apt one, since, beginning with Parole, he had spent the subsequent sixteen years supporting everyone he performed with. In an odd coincidence, the trio who worked on The Plainsman in 1936 all won Oscars together. 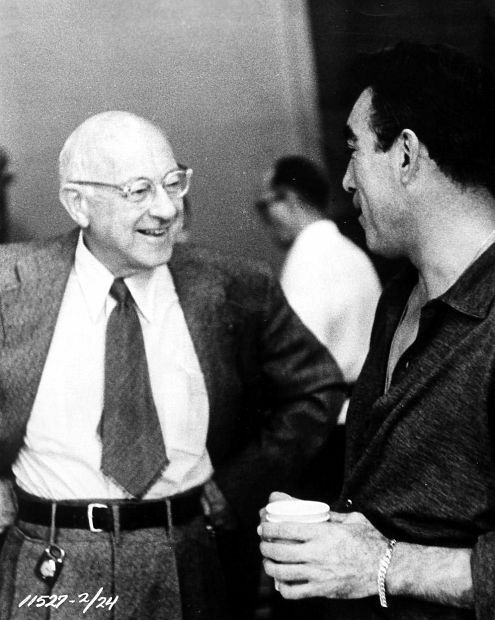 Cecil B. DeMille won Best Film for directing and producing The Greatest Show on Earth, a really bad film that unexpectedly beat The Quiet Man by John Ford and High Noon by Stanley Kramer, and Gary Cooper won Best Actor for High Noon. The night of the Oscar ceremony, Cooper and Quinn were in Cuernavaca, Mexico, shooting another western called Bowling Wild, and thus were unable to attend. Quinn’s wife, Katherine DeMille, accepted the statue proudly. Anthony had fallen in love with the adopted daughter of Cecile B. DeMille on the set of The Plainsman during the shoot, and had married her in 1937. Thus, connections abounded that night: the three men linked by the previous film were all honored by the Academy that night, while two of them worked together many miles away and Quinn’s father-in-law watched his daughter accept the award for her husband. He was right, and in just four years, in 1956, he expectedly won another Academy Award for Best Supporting Actor for his amazing performance as the intense Paul Gaugin aside Kirk Douglas as Vincent van Gogh in Vincente Minnelli’s Lust for Life. One year later, he was nominated for Best Actor for Wild Is the Wind by George Cukor. garnered more than fifty awards around the world, including the Silver Lion Award at the Venice Film Festival in 1954. It also won the inaugural Academy Award for Best Foreign Language Film in 1957. I knew that Anthony Quinn was an ideal choice to play Leo Tolstoy in the last year of his life and that his instinct in buying the rights to The Last Station had been dead on.